Do you already use Fleet Fuel Cards? Are you a large, gas-guzzling business with an extensive fleet of vehicles? Or a small outfit with just one or two cars? No matter the size of your operation, there’s a fuel card service perfect for the unique needs of your business. But with so many different fuel card companies (and types of fuel card!!) on the market, how do you make the right decision? We looked at the range of fuel card suppliers on the market, and did the hard yards so you don’t have to. We’ve also made it quick and easy to compare fuel card suppliers and obtain quotes. So if you’re already sold on a fuel card, pop your details in our short form and get started. Or read on for our top 9 picks. 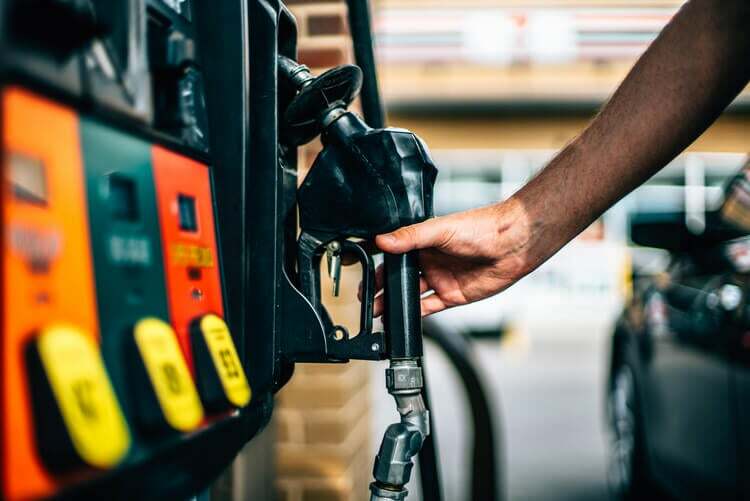 We looked at the range of fuel card suppliers on the market to help you find the fuel card company that’s best for your business. Our top fuel card providers include UK Fuels, Esso, BP, Shell, Allstar Business Solutions, Texaco, EDC, The Fuel Store, and Keyfuels. 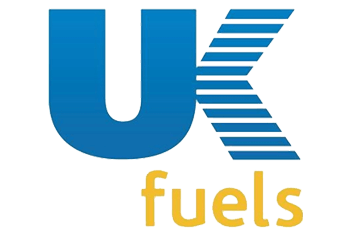 UK Fuels is one of the largest suppliers in the industry. It offers fuel cards from all the major players, as well as its own branded cards. As a middleman working between you and the major oil brands, the team at UK Fuels don’t care if you go with Shell, Esso, or BP. All they want is to help you choose the right fuel card for your business. By working with such a wide variety of providers, UK Fuels can offer tailored options for large fleets, HGVs and small businesses. It also provides fuel cards for European and public sector use. With UK Fuels, you’ll have access to over 6,500 sites UK-wide – and its app makes it easy to navigate to your nearest one. UK Fuels’ award-winning fleet management tool ‘Kinesis’ lets you track your vehicle and fuel data. You can optimise your routes and monitor your drivers, helping you save both time and money. No signup fees. Annual price depends on the fuel card you select. Esso is undeniably a goliath of the fuel industry. Its national network has over 3,000 fuel stations to its name. And it offers a choice of either fixed price or pump-price payment methods. Esso cards can also be used at BP and Shell sites. And you can collect Tesco Clubcard points with fuel purchases. With Esso, transactions are listed on an invoice that’s easy to digest and HMRC VAT approved. An online management tool shows your closest filling station, and lets you block cards or cap spending from your living room. Esso provides around the clock support for if you get stuck at night or on the weekend. It’s perfect for international businesses, too: Esso’s European network includes over 10,000 service stations in 15 countries, so you’ll never be too far from a top up. And because Esso fuel is priced locally, it’s usually very competitive – especially outside of major cities. There’s no charge to get set up, but a nominal annual fee applies. BP boasts a card you can use to top up at over 8,000 sites in the UK. That includes a third of all motorway service stations, and equates to nine out of 10 UK forecourts. And BP’s branded site coverage is so extensive that an estimated 90% of Britain’s population lives within 5 miles of a BP forecourt. Now that’s convenience! BP’s intuitive app allows you to quickly find your closest refuelling station. And you can quickly and easily log your vehicles’ miles using its automated mileage capture tool. And when you factor in BP’s strong brand power and solid customer support? It’s not hard to see why over 40,000 UK businesses use its fuel cards. No signup fees. Annual fees depend on the size of your fleet and the card selected. Minimum spend applies. Shell fuel cards have been around for over 50 years. They give you access to one of the largest fuel station networks in the world, offering discounted prices at over 40,000 Shell forecourts and 10,000 partner stations. Shell offers several tailored plans for different levels of spend. And its range of services goes beyond the expectations of a fuel card. Shell’s impressive online portal lets you manage the security, costs and transactions of your fleet remotely, 24/7. And its clever route planner makes it easy to plan your next pit stop. What’s more, Shell’s fuel cards let you pay for more than just fuel. You can use them for tunnel and bridge tolls in all major European countries, and for ferry crossings too. Your team can use them for ‘truck on train’ services, so your drivers don’t need to worry about carrying cash everywhere. A Shell fuel card also gives you access to reliable breakdown assistance if you get stuck out on the road. Prices start at £18/year, with a minimum spend of £300/month. Allstar may not be as much of a household name as BP, Shell, or Texaco, but it’s still a big player in the fuel card world. Allstar offers a choice of four cards that can be used at up to 7,700 stations in the UK – that’s a staggering 90% of all UK fuel stations. Partner brands include BP, Shell and Esso, as well as supermarket chains such as Morrisons and Tesco. Allstar boasts the largest network of fuel sites in the UK and a fuel card used by over 1.1 million drivers. Its concise online reporting streamlines your invoicing process, meaning you can cut down on the tedious admin stuff and get back to growing your business. Allstar offers diesel at cheaper than the national average at selected sites. And your drivers can claim up to 30% discount on servicing and repairs at over 9,000 UK garages. Allstar’s prices are available on request. Click here to get quotes and compare top Expert Market approved suppliers. With a household name and thousands of UK sites, Texaco is an established and reliable fuel card provider. It’s especially great if your business operates in rural areas outside of major cities. As a major global brand, Texaco can offer some of the most competitive prices on fuel of any fuel card supplier. Texaco is one of the four major oil brands in the world, distributing 270,000 barrels throughout Europe every day. That’s nearly a billion barrels a year. You would expect Texaco to offer extensive coverage, and it does, with over 2,300 stations in the UK alone. These sites include Morrisons, Murco and Jet service stations, as well as Texaco own brand sites. No setup or joining fees. A small fee for topping up at BP stations applies. Texaco is the only UK fuel card supplier to offer competitive fixed weekly wholesale prices for both petrol and diesel. With more than 6,500 European refuelling locations, the European Diesel Card (EDC) is perfect if your business spans the continent. EDC lets you wrangle discounts of up to 50% on road and tunnel tolls across Europe. EDC cards offer no minimum spend and don’t rope you into a contract. So how much you spend is solely up to you and the demands of your business. Weekly fixed rates for diesel. You’ll need to enquire for further pricing details. Up-and-coming fuel card provider The Fuel Store was only started a couple of years ago. But it already claims to offer the largest multi-branded site network in the UK. And with approved HMRC invoicing, 24/7 payment management and competitive pricing, it’s already showing its ambitions to take on the industry big guns. 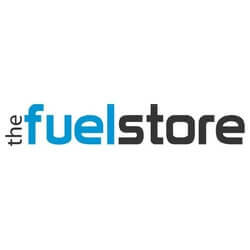 The Fuel Store’s fuel card, like its rivals, lets you monitor your fuel consumption and total spend. It gives you more control over your business and lets your drivers go cashless. You’ll get fuel reports and transaction information at your fingertips, and have access to a friendly team of account managers if you get stuck. The Fuel Store’s weekly fixed pricing means your business won’t be at the mercy of the tectonic week-to-week shifts in fuel prices, so you can save more in the long run. As its other services show, the Fuel Store does the basics well. It offers weekly fixed pricing with no hidden fees and a small annual card fee. A minimum usage fee applies if you end up drawing less than 300 litres of fuel per month. Keyfuels gives you access to a UK network of over 2,750 multi-branded sites, including Tesco and Morrisons supermarkets. Keyfuels started out in the haulage industry, so its fuel card is great for catering to the bigger vehicles on the road. Over 540 of its forecourts are tailor-made for heavy goods vehicles, with high canopies and faster pumps. These forecourts are also strategically placed, meaning you won’t lose time taking detours to fill up. Keyfuels also offers ‘ControlMax’, an intelligent online system exclusive to its brand. It gives you more control over your fuel security by letting you monitor fuel card velocity controls. You can enforce these in real time to make sure you stay on top of your fleet and drivers. Keyfuels’ standard pay-as-you-go plan offers a fixed weekly rate. However, it also offers a card that lets you negotiate directly with fuel suppliers. The fuel card you choose has to reflect the unique needs of your business. If you’re starting out and need a card to do the basics, you should go with one from UK Fuels or Allstar. Heavy-hitters like BP, Esso and Shell still offer the weight of big names and even bigger network coverage. But lesser-known fuel card providers like The Fuel Store are bringing great value and simpler solutions for small business owners. Have you found the answer to your business’ fuel card question? If not, don’t stress. Our short form lets you get quotes from top suppliers. So take a second and start comparing prices from industry-leading fuel card suppliers today. Or delve deeper with our top 5 fuel card picks for businesses. 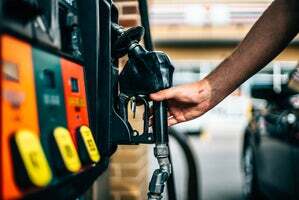 How do I choose the best fuel card supplier for my business? What type of vehicles make up my fleet? Is your business fleet mostly made up of HGVs? You’ll want to go with a fuel card supplier with access to as many HGV-friendly sites as possible, such as Keyfuels. Some companies offer extra savings on the price of either diesel or petrol. So it’s essential to match your fuel card supplier with the needs of your business – and your engines. Where do my vehicles operate? If your vehicles operate nationally, then it pays to choose a supplier with a large network of motorway refuelling stations, like BP. If your business is a regional operation, you’ll find that Esso offers great savings. And if you operate mostly in continental Europe, then the EDC should be your first point of call. What’s my business’ average monthly spend on fuel? Some fuel card suppliers slap you with a minimum monthly spend. While this isn’t really a factor for larger businesses, it’s something you should consider if your fleet is still small.